In August 2016, Affinity Crew was employed by Evoke Group to work on a new experiential marketing campaign for their client, Adidas. 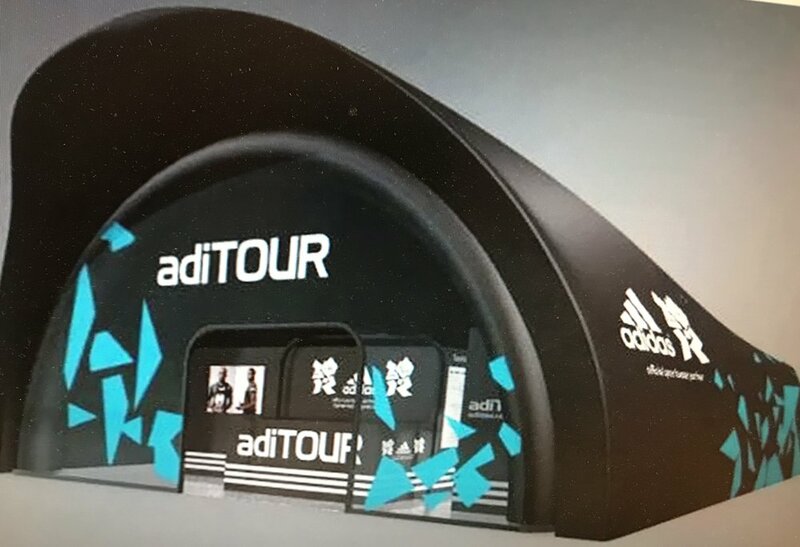 Our crew creates a 60cm high platform and erects an inflatable Adidas structure to house the road show. Inside our crew put up the truss before the screens are put in place and brings in all the running, pressure and measuring equipment used during the marketing campaign. 1-3 days later, our crew returns to pack up and move the roadshow on.